Two-and-a-half bloody hours of queuing to get into the Louvre. The line ran around three sides of the square courtyard (with a curious semi-circular deviation round one of the gates) and then across the main courtyard before forming into a cattle pen arrangement in front of the Pyramid where the bags of several thousand frozen visitors were x-rayed on a single machine. Lunch allowed time to warm up before tackling the crowds in the exhibit halls. Having not seen the Mona Lisa, we foolishly made our way to the first floor of the Denon Wing to observe the ludicrous sight of several hundred people crowding around La Joconde with arms aloft, trying to take photos on mobile phones. The painting might just as well been a colour-by-numbers. We fought our way to the back of the exhibit and spent the rest of our time wandering through other halls that were less busy. The queues for the toilets were almost as crowded as the Da Vinci room. During one visit, a group of Italian men impressively attempted to coerce other users into allowing their girlfriends to use the cubicles in the men’s toilet using French, Spanish and Italian languages. I normally prepare well for such visits; in the absence of a plan and the hideous crowds, I decided to look for paintings of boobies, of which I can report that there are quite a few. 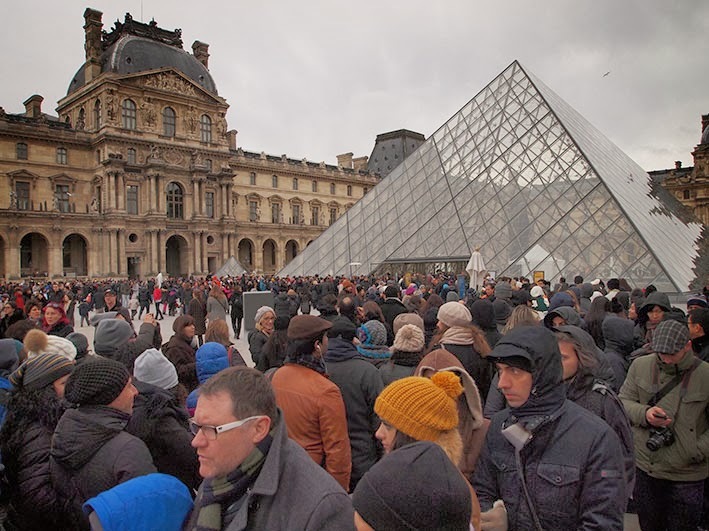 As the Louvre closed early for the New Year’s holiday, visitors were hastily forced out of the museum at 5pm. On the way back to the hotel we stopped at a book stand on the right bank to purchase a map of Indo-China from an atlas produced by a German cartographer, Friedrich von Stülpnagel, published in Stieler’s Hand Atlas by Justus Perthes in 1872. 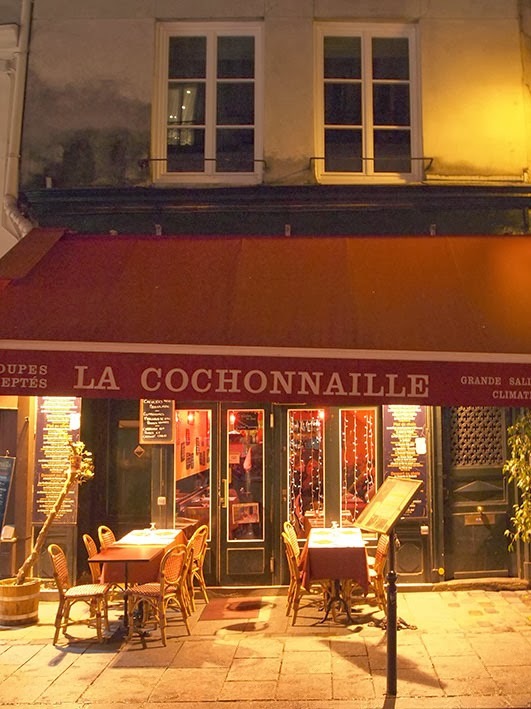 At 8.00pm, La Cochonnaille restaurant in Rue de La Harpe was packed with locals enjoying pork-based meals. We both had the 16€ menu which featured a starter of mussels before a hearty cassolet. Mrs M finished with chocolate mousse while I enjoyed three strips of delightful Brie. Quite superb.